Attendees firing up the crowd prior to the start of Vermont senator Bernie Sanders' rally at the Ohio State University's Schottenstein Center on Sunday evening. 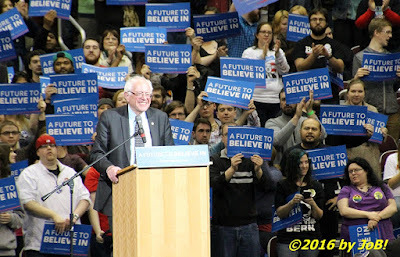 Prior to a brief stopover at the Ohio Democratic Party Legacy dinner and participation in a CNN town hall event at another venue on the OSU campus, the Democratic candidate spoke for nearly an hour to an enthusiastic crowd that cheered wildly when Sanders touted his plans for tuition-free state colleges and universities, universal health care, campaign finance reform, fair foreign trade and the federal decriminalization of marijuana. He reserved special attention to Donald Trump, the current Republican front-runner who accused his campaign of planting protesters at Friday night's University of Illinois-Chicago rally that was eventually cancelled due to the threat of violent confrontations between them and Trump supporters. "A candidate for president of America ought to condemn violence, not encourage violence," the senator stated to his audience based upon Trump's passive acceptance of such behaviors at his events. 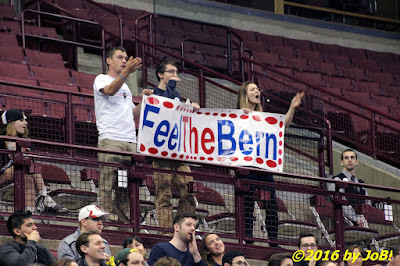 Attendees cheer for Vermont senator Bernie Sanders during a rally at the Ohio State University's Schottenstein Center on Sunday evening. The self-branded socialist has been tapping into the populist mood widely felt in both parties in this year's election cycle and he did that again last night when he said "the word is getting out that every person in this room, every person in America has enormous power if he or she is prepared to use that power" and that "change never happens from the top down, but from the bottom up." 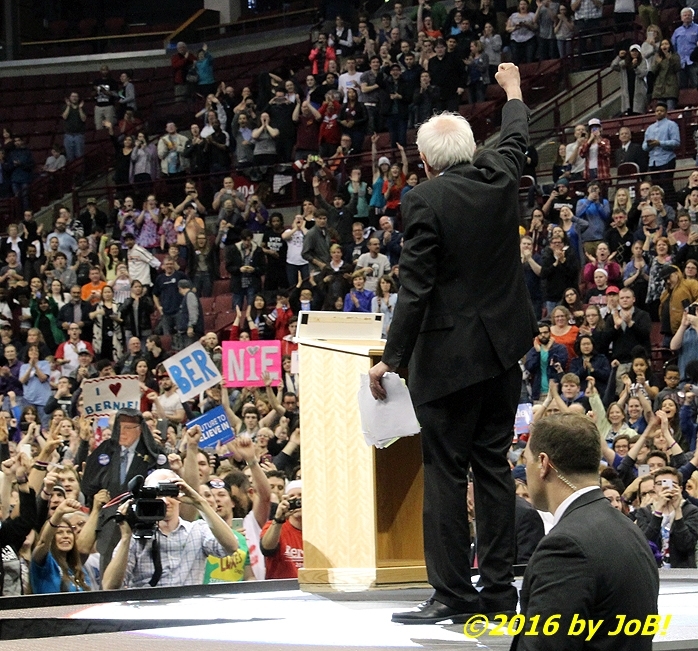 Prior to Sanders' arrival, the crowd heard remarks from several labor and state campaign organizers with former Ohio state senator Nina Turner, a 2008 Clinton supporter but now an endorser for Sanders, making the final introduction. 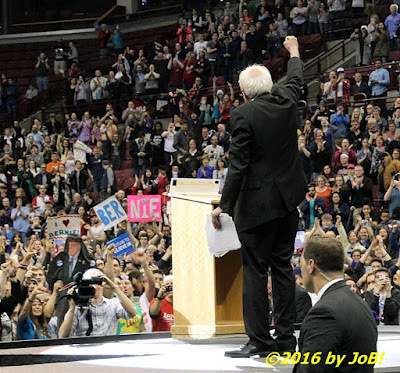 Vermont senator Bernie Sanders shows solidarity with his supporters at the conclusion of his rally at the Ohio State University's Schottenstein Center on Sunday evening. 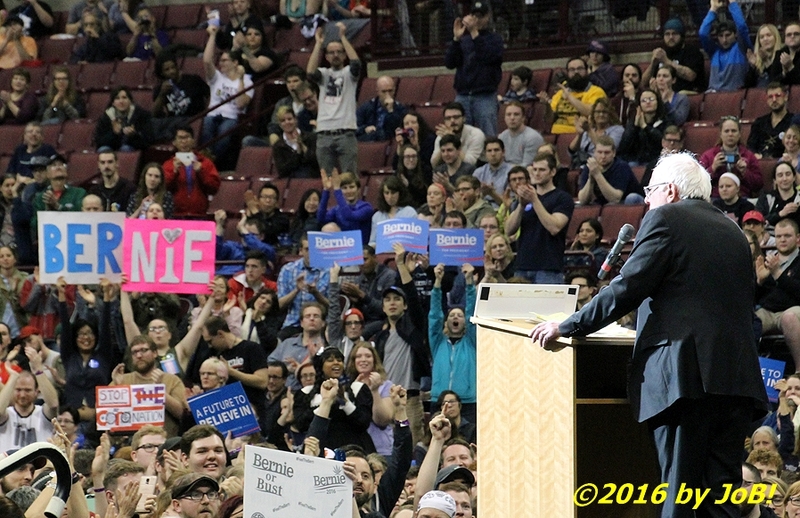 Recent polling has Sanders trailing Clinton but the gap has been shrinking as the election draws closer. After last week's upset in Michigan where he pulled out a win after trailing by nearly 20 points, he and his supporters are confident that they can do the same in Ohio, a state similar to Michigan in both demographics and economic insecurity. 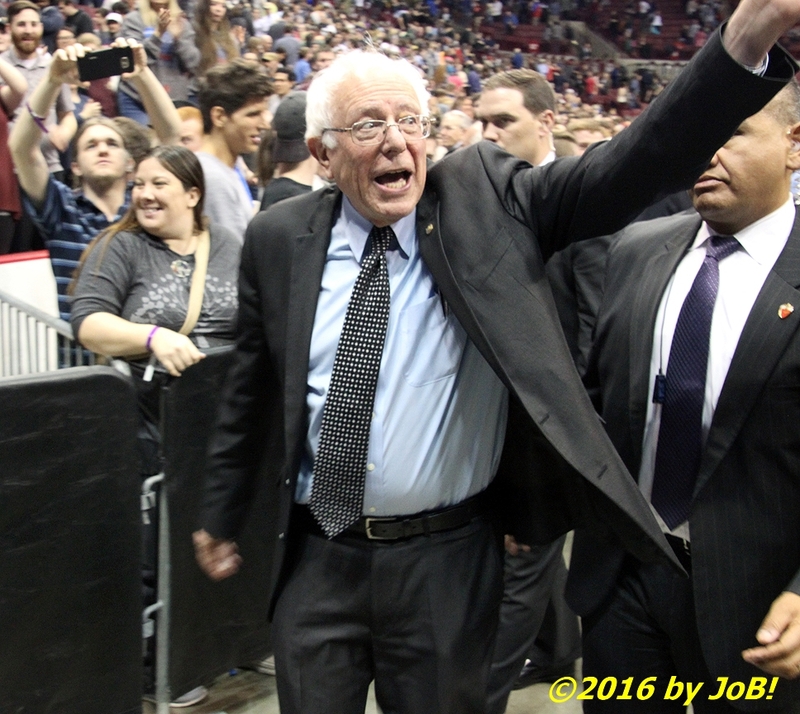 Vermont senator Bernie Sanders waves to well-wishers as he exits Ohio State University's Schottenstein Center after his rally on Sunday evening.